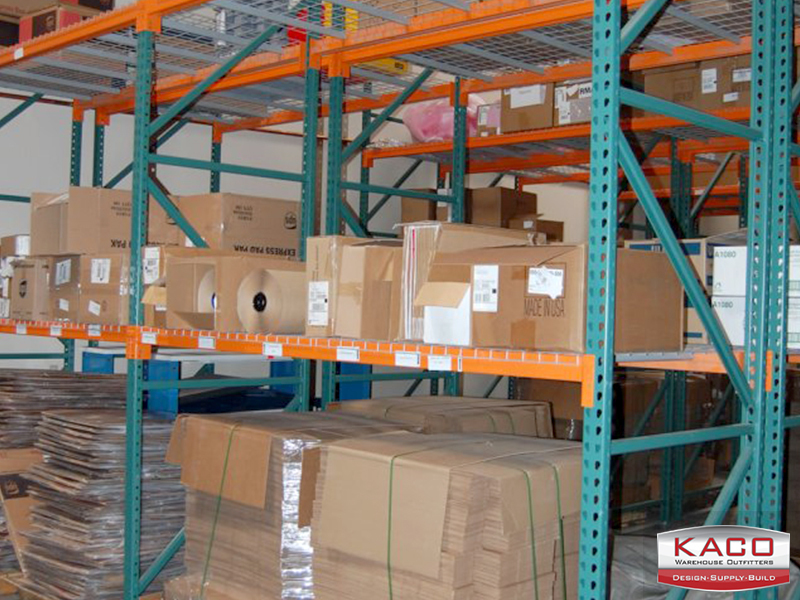 A national medical supply company opened a new branch in Phoenix to help support the west coast demand. 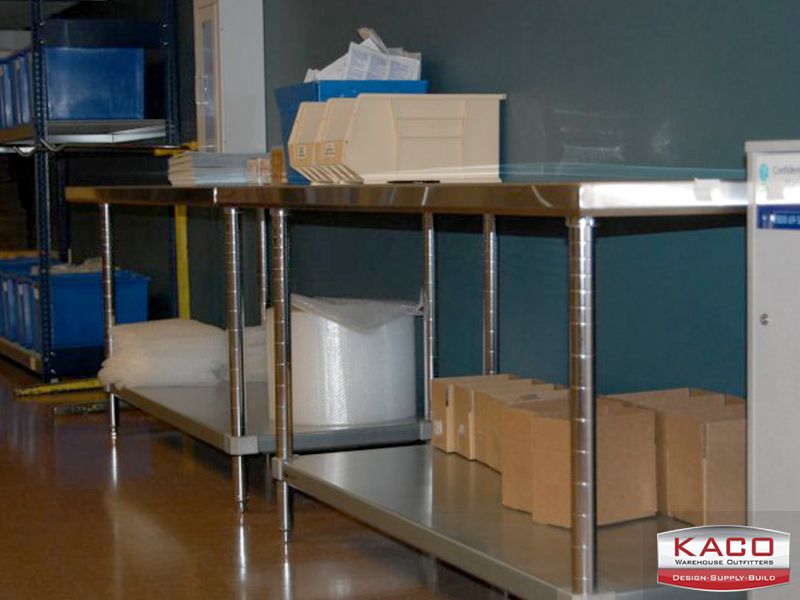 They started with a brand new suite in an empty building to design around their operational needs. 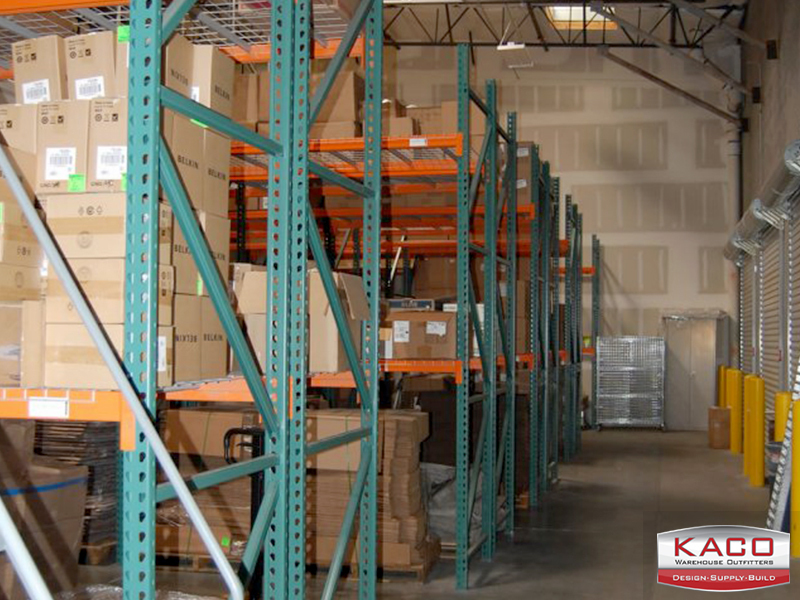 Kaco Warehouse Outfitters met with them at the beginning to help plan, stage, and layout their facility. 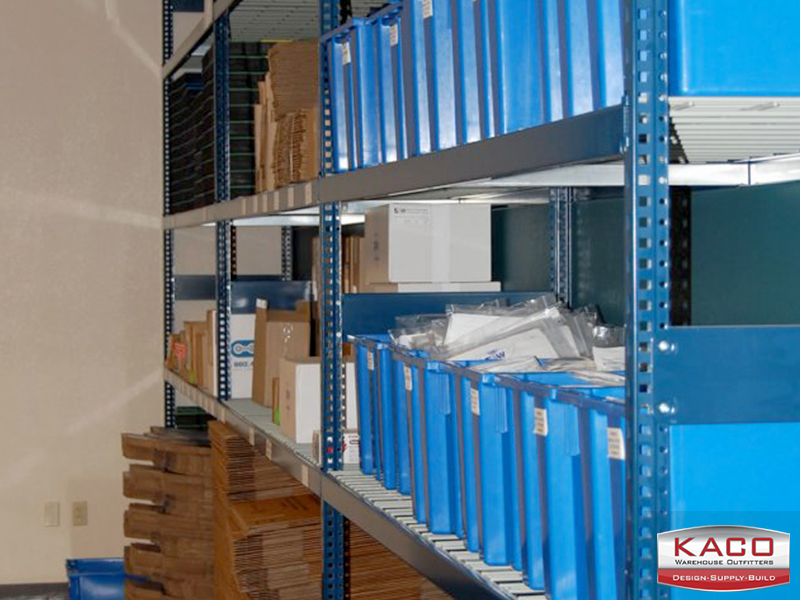 Kaco started with initial measurements of the empty building and worked together with the architect to incorporate all aspects of the project. 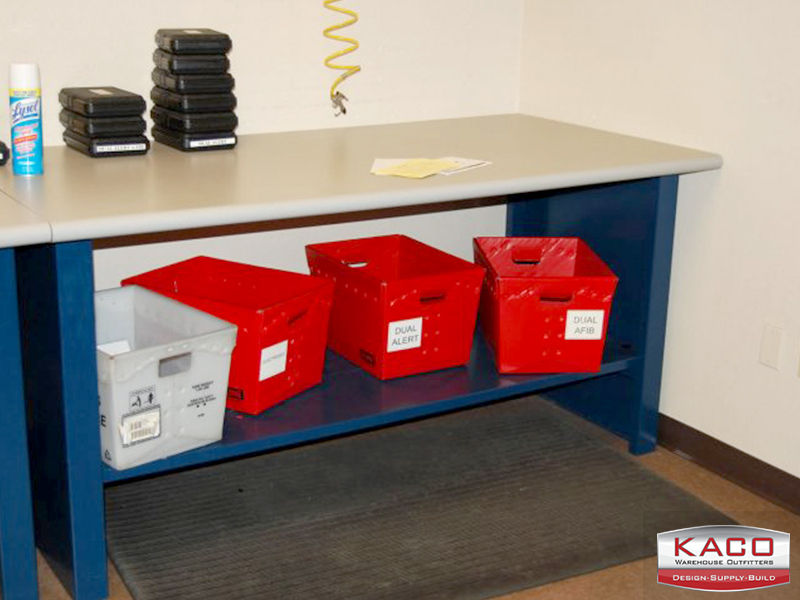 With the initial drawings from the architect, Kaco was able to integrate the work benches, cleaning stations, pallet rack, and shelving systems with the proposed walls and cubicle desk areas. 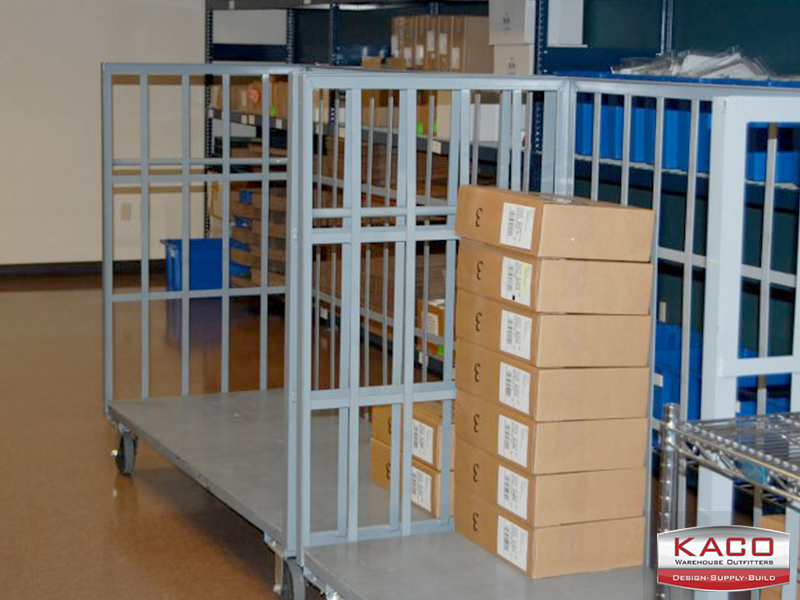 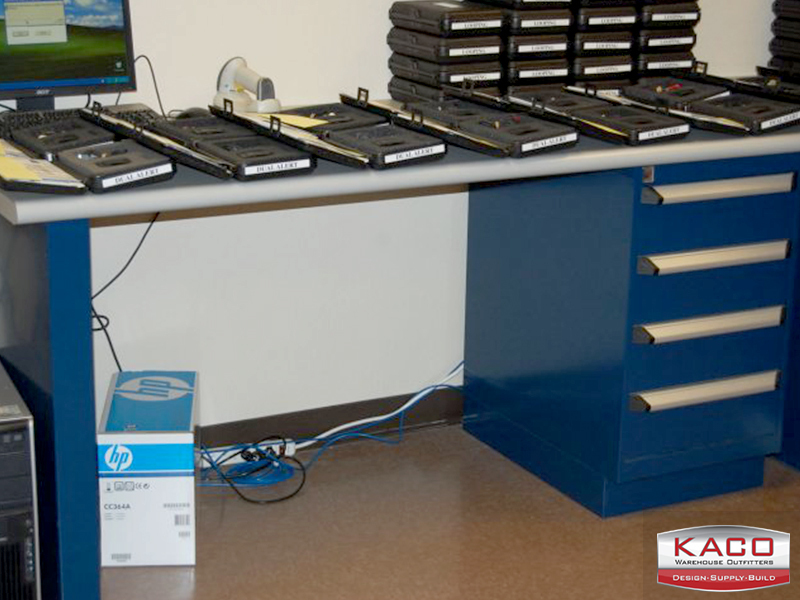 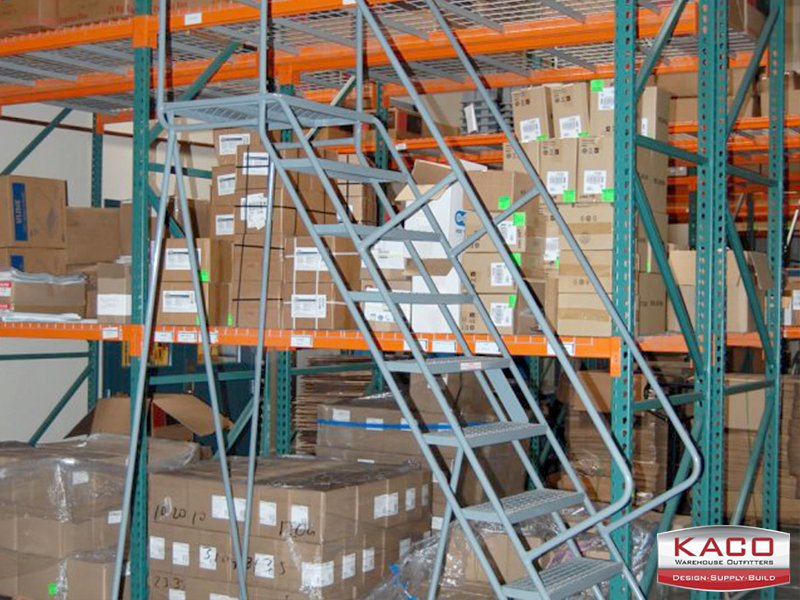 Kaco was able to match existing components from their east coast facility to help standardize their manufacturing and distribution processes. 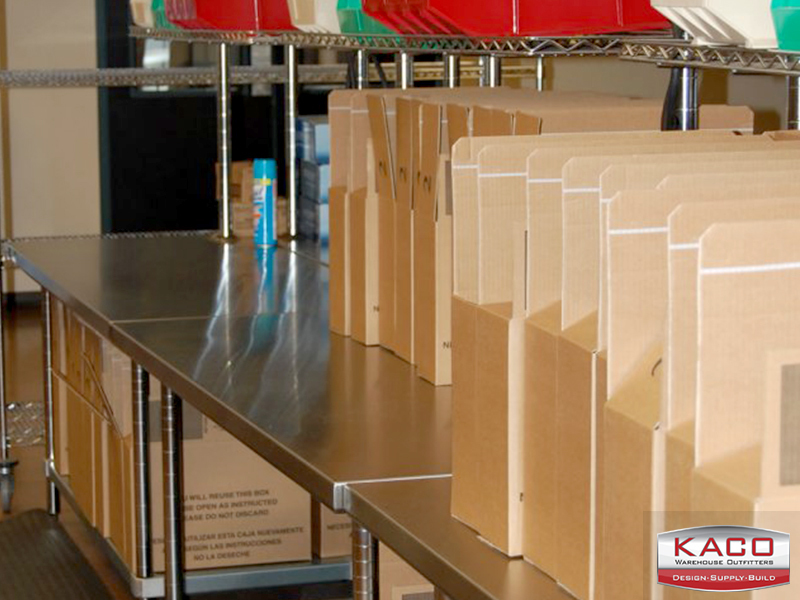 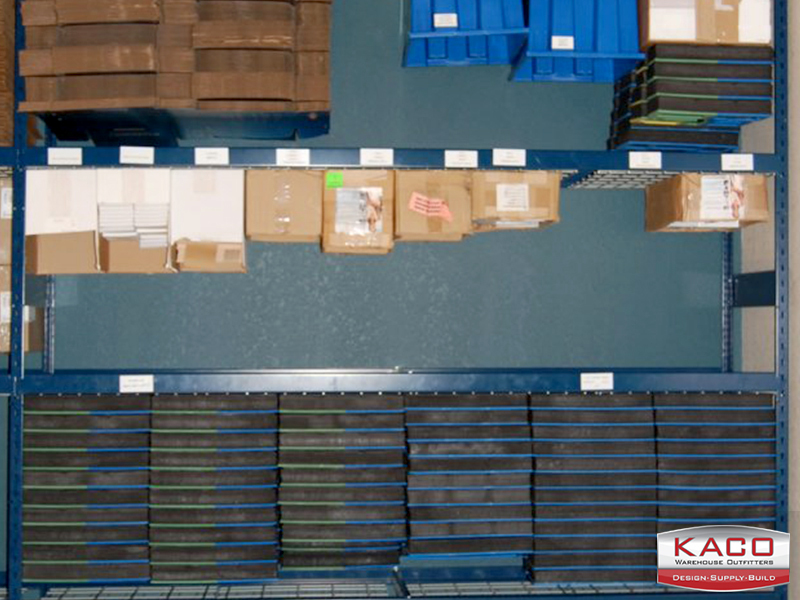 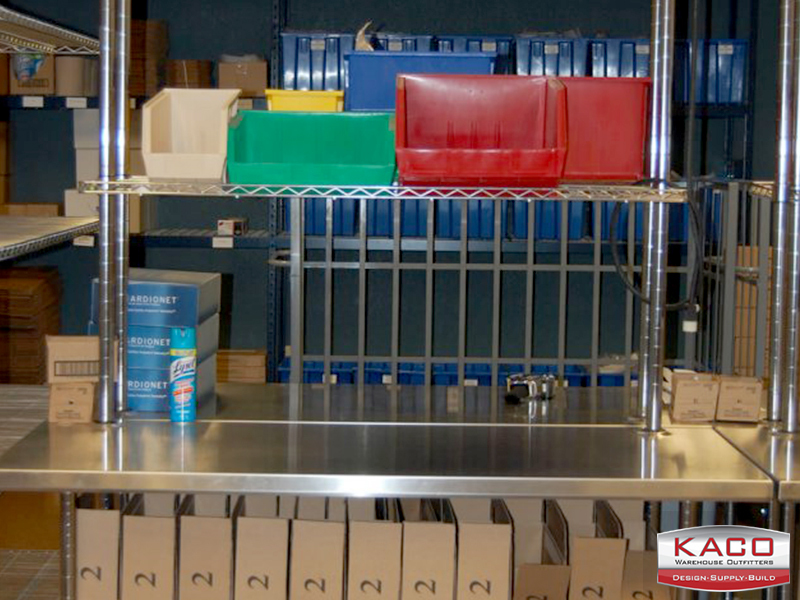 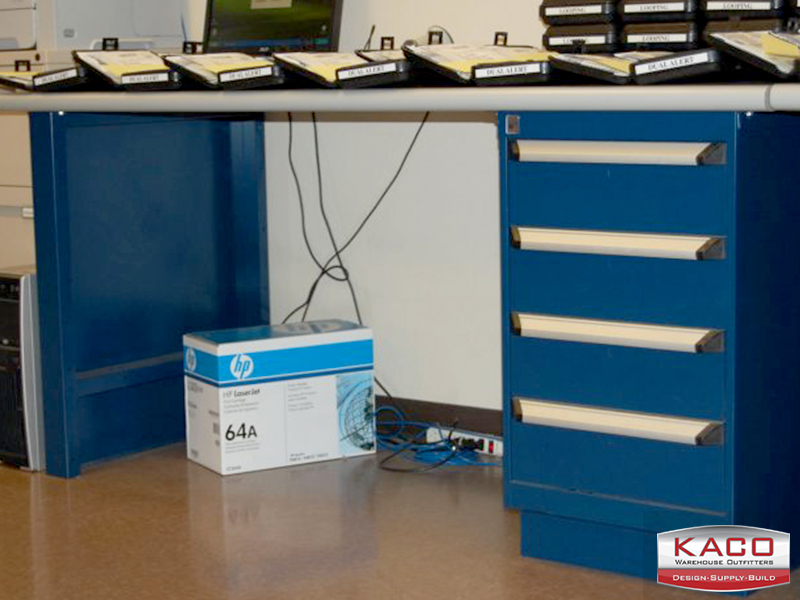 Kaco was also able to supply ergonomic mats to help reduce fatigue, storage bins to help separate and sort products, metal and wire carts to move and stage products to be shipped out to consumers. 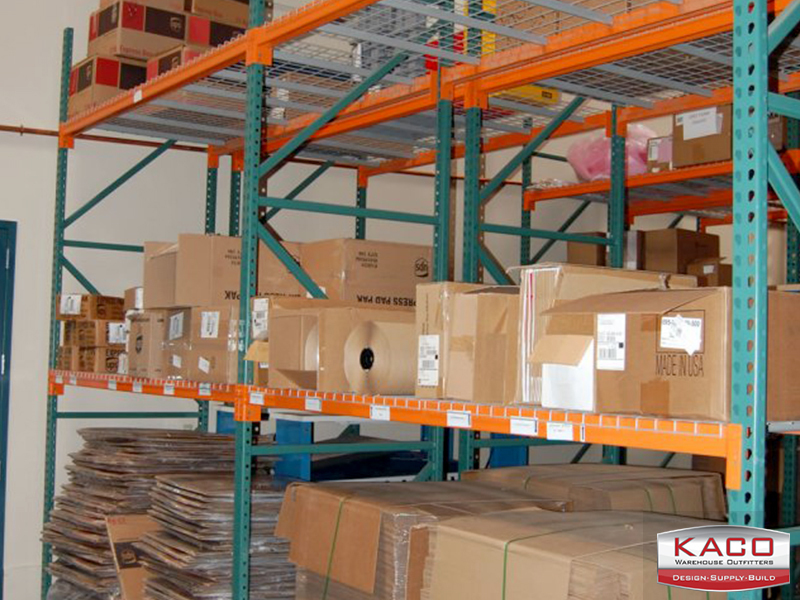 Kaco used many local Phoenix company’s to help save money by minimizing freight and lead time for the customer.